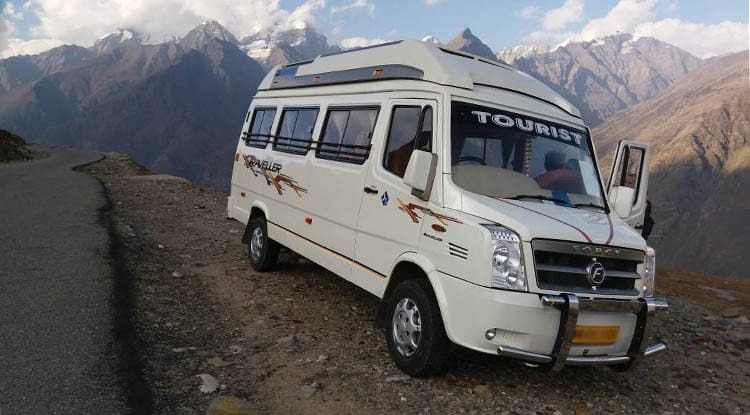 Heritage cabs offers you entire range of Tempo traveller, Luxury Tempo traveller, 9 Seater Tempo traveller, 10 Seater Tempo traveller, 11 Seater Tempo traveller, 12 Seater Tempo traveller, 13 Seater Tempo traveller, 14 Seater Tempo traveller, 15 Seater Tempo traveller, 16 Seater Tempo traveller, 17 Seater Tempo traveller, 18 Seater Tempo traveller hire / rental in Jaipur for Jaipur Sightseeing or Rajasthan tour. Contact us via email or call for hire tempo traveller rental service in jaipur. Looking for luxury or Budget 9/10/11/12/13/14/15/16/17/18/19/20/21/22 seater tempo traveller/van rent from Jaipur/Joadhpur/Udaipur/Jaisalmer/Delhi to Rajasthan Tour/ Golden Trangle Tour / Sightseeing Tour ?. Yes, you are in the perfect place, We Heritage Cabs rent 9/10/11/12/13/14/15/16/17/18/19/20/21/22 seater tempo traveller A/C or Non-A/C with the driver Tempo Traveller or you can say a mini bus for functions like weddings or family get together where your whole family members can fits in. 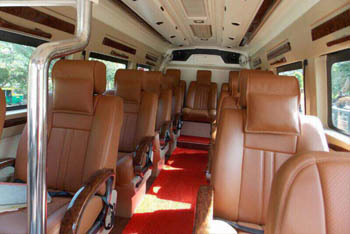 We have all type tempo traveller from 9 seater to 22 seater.